If you are considering buying either a single family home, condo or townhome in the City of Buford, you will want to take a look at the great resource below. 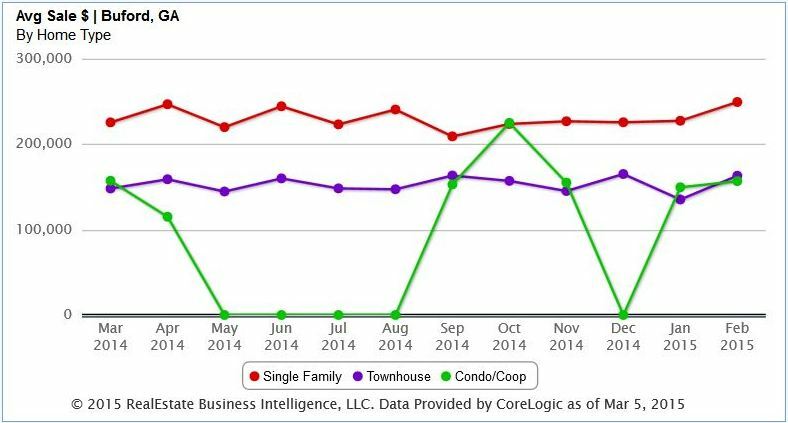 This interactive graph shows the average selling price month to month for the last year and updates every month. You can also compare last years numbers by scrolling across and seeing the percentage higher or lower. If you have any real estate related questions about Buford or other North Atlanta GA Cities, simply contact us or email us from our website @ www.NorthAtlantaHomeTeam.com.